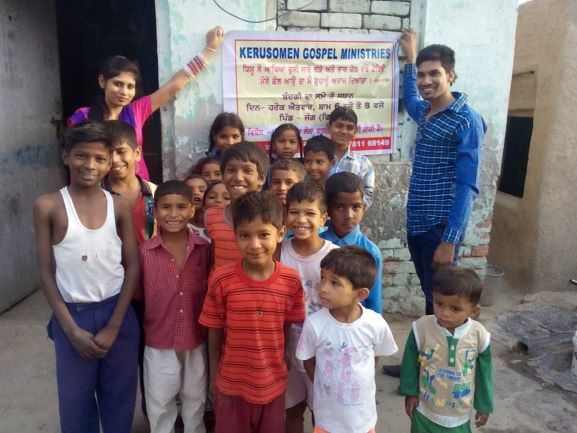 Kerusomen set out to identify a grassroots organization who is stepping up and filling that emotional and spiritual gap. God provided Friends Needing Friends International. Friends Needing Friends is a widows ministry that picks up where Grief Share ends. It serves women who have been widowed recently, ideally in the past one to three years, but not too soon after the occurrence because their grief is too raw. It comes alongside them as they transition to a new normal, offering the love of Christ, providing support for those who are struggling to move on, and helping them, in time, to flourish and find their new purpose. Grow. It coordinates monthly meetings with inspiring programs, speakers and fun themes that make it easier for the recently widowed to make new friends. Friends who truly care enough to spend time with each other, learn from each other, and share their hearts with each other. Be Encouraged. Besides comforting each other, these widows inspire each other to keep looking up when they feel down so they don't get stuck when grief assaults their emotions. Find Purpose. FNF offers widows opportunities to serve the Lord locally with a Teddy Bear Ministry, visiting the sick and/or hospitalized with a smile and a Teddy Bear gift. Plus they reach out internationally providing financial support to other widows in India and are a great source of encouragement to them, many of whom have been totally abandoned by their families. In short, Friends Needing Friends offers widows hope. Locally FNF plans, organizes and executes "event gatherings" once a month to meet the spiritual and emotional needs of widows in our local communities both here in Boynton Beach, FL and in New Jersey. They provide the guest speaker, continental breakfast, small gifts and distribute Bibles free of charge to the widows who attend. They spread the Gospel by publishing a blog that has an international following of more than 15 countries including, Russia, India, France, Ukraine, Viet Nam, the Netherlands, Germany, Nigeria, Canada, Indonesia, Poland, China, United Kingdom, Malaysia, South Africa and of course, the United States. They encourage other widows by personal witness and online to form their own FNF chapters by providing the training, materials, and contact information to make it happen. Kerusomen saw that partnering with this interdenominational sisterhood of widows, Friends Needing Friends, fit their mission criteria perfectly. Second, because FNF is interdenominational it does not receive support from any individual church denomination. 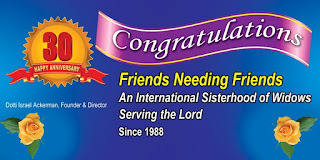 Finally, Friends Needing Friends also stewards its gifts faithfully; 100% of all funds we donate are committed to the mission as all overhead is supported by dedicated volunteers. Our desire is to bless these widows and expect nothing in return. God has blessed this 30+ year old ministry with a recent spurt of growth. Your partnership is greatly needed. Prayerfully consider a donation of your finances, your time, or your talents. Kerusomen depends on people like you to make a difference in the lives of these widows. Contact us to tell us how you feel you might like to help. Pray for Widows. Give a gift. Spread the word.